So I was at Penhaligon's launch of their new fragrance at Suria KLCC. I was stoked as I totally fell in love with Penhaligon's fragrance after using one of their perfumes earlier. It smelt so royal, exclusive and feminine. 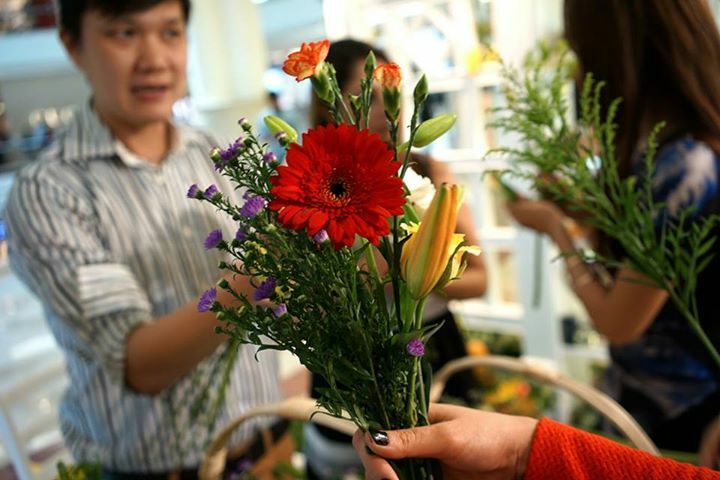 Also, we were greeted with fresh beautiful flowers for our flower arrangement class later. 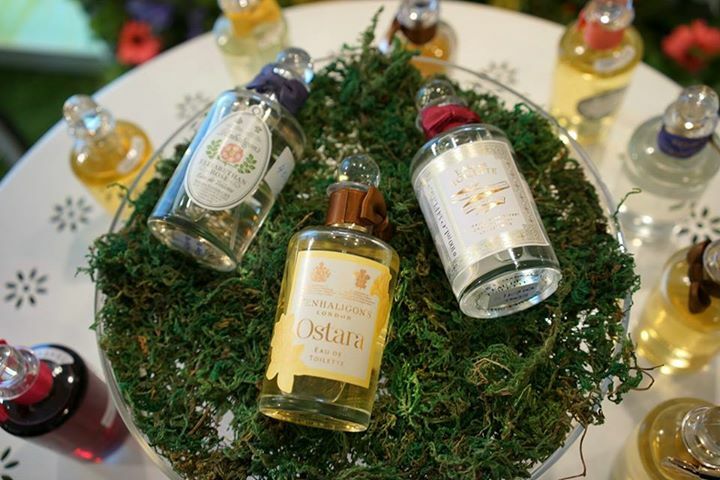 The first thing I did was to take a whiff of the new fragrance by Penhaligon called Ostara. Inspired by the daffodil, the fragrance is a modern interpretation of this incandescent and delicate flower. 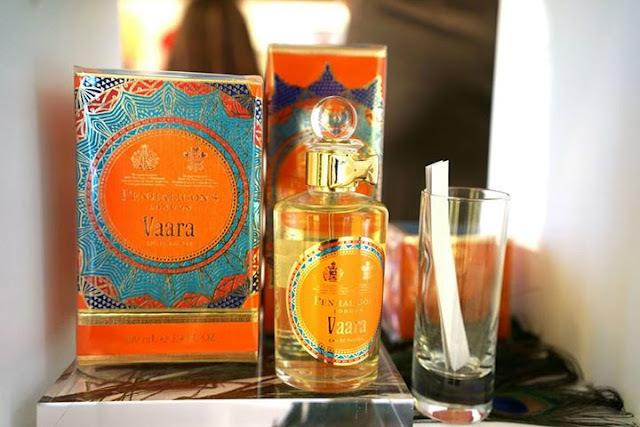 Created by Master Perfumer Bertrand Duchaufour, this fragrance will bring you to an olfactory journey, from the bulb to bud to bloom! 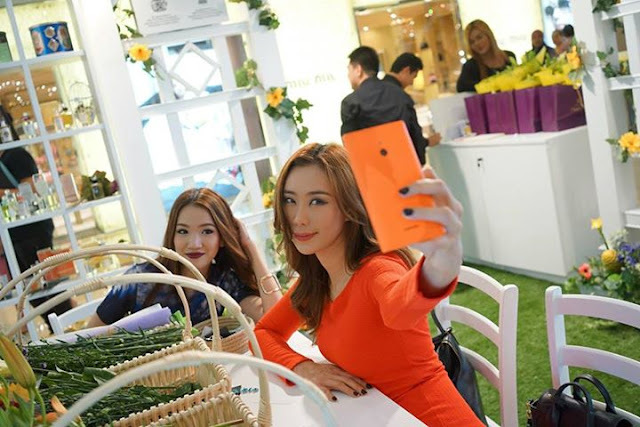 While waiting for the other bloggers me and Chelsea practiced some selfies skills. The newly launch fragrance doesn't shy away from the exclusivity of Penhaligon's fragrances. 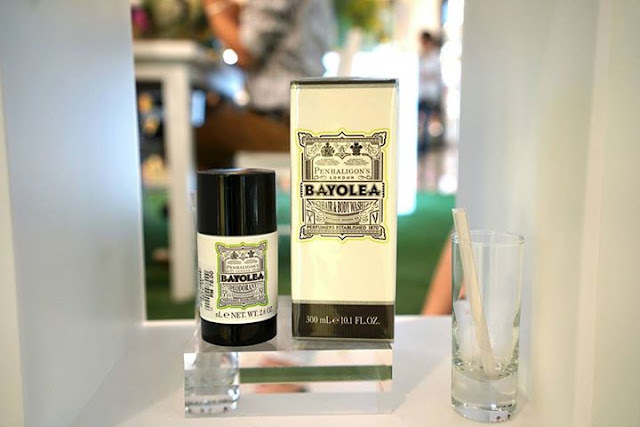 Most of Penhaligon's fragrances has a story behind them and how they came about. 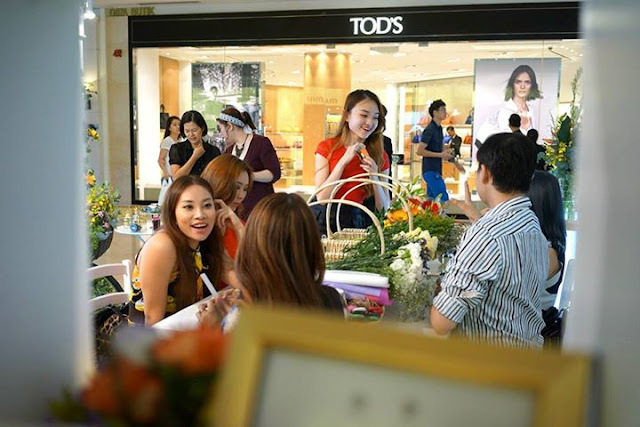 We were checking out and listening to the stories of the fragrances and I found a few that I totally adored. 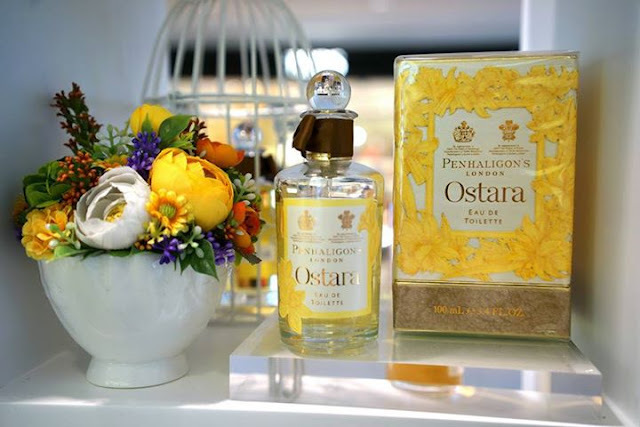 However, the star of the event, Penhaligon's Ostara opens in an affirming burst Juniper, Violet Leaf Absolute and Spearmint which are layered against vibrant notes of Aldehydes, Blackcurrant and Clementine which is lead by Narcissus Absolute and given depth by the humming warmth of beeswax. If you'd think the concoction ends there, you're wrong! Hyacinth, Hawthorn and Cyclamen are part of the mixture and beneath all the layers, the fragrance then settles into a powdered, resinous base of Benzoin, Vanilla, Styrax, Amber and White Wood. This was my first fragrance from Penhaligon. After using this I was head over heels, in love with Penhaligon's fragrances! 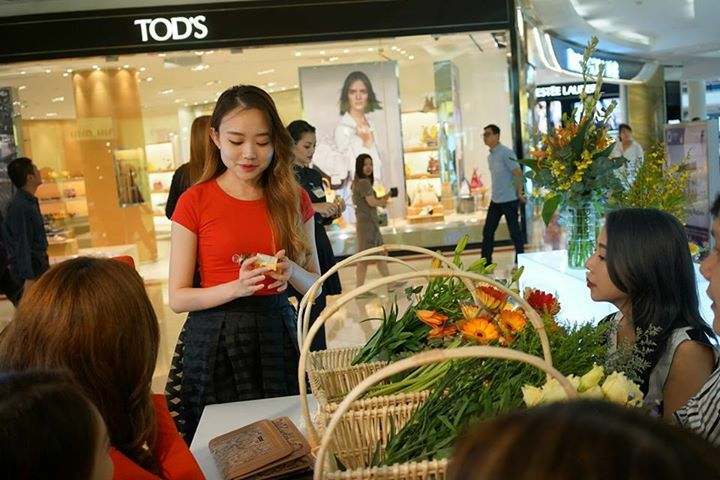 It not only exudes class, royalty and all that one can wish for but the fragrance lasted throughout the day and also evolved throughout the hours, which is wonderful as I felt like I was wearing a mood fragrance. This one had a very royal story behind it. And it's a unique blend which doesn't turns out too spicy. 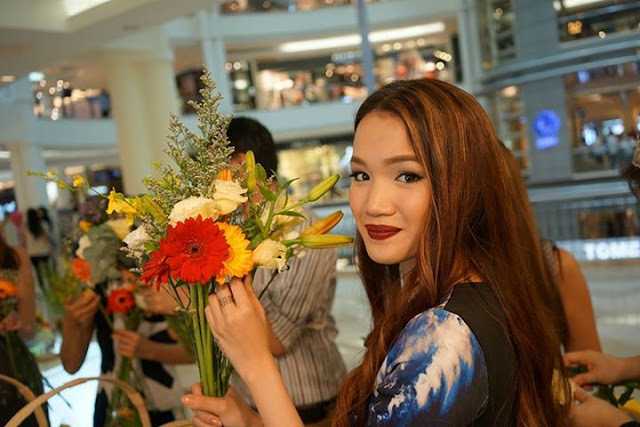 Before we got started with the flower arrangement class, we were told a bit more about Ostara. Penhaligon worked with artist Melissa Bailey to create a beautiful, classy and unique illustration of Ostara exclusively for the launch. Melissa used gentle brush strokes to recreate the fragrance in her own distinct style with a combination of watercolours and inks. Other than that, Daffodils were an iconic feature of the British countryside, it symbolizes the optimisim and revival of spring. In 1802, the distinguised poet William Wordsworth wrote about a sea of daffodils in his poem, 'I Wandered Lovely as a Cloud'. See? I told you there's stories behind every Penhaligon's fragrance! It's wasn't even a surprise to me that some books I've been reading these couple of months mentioned Penhaligon and how it a fragrance favourited by London's aristocrats. We then got started with the flower arrangement class! I never knew it was so much work and quite tricky to even hold a bouquet in one hand. My flowers kept spreading out to all the wrong sides and wouldn't remain still like they had a life on their own, but we were taught nifty tips and tricks of arranging them. However I finally got a hold of it, even though it took me a while. It was a fun day out with the girls and I definitely loved and learnt so much about the brand, the stories, and fragrance! Penhaligon's is a fine English fragrance house founded in 1870 by William Penhaligon and their scents are still made in England using the finest and rarest ingredients. 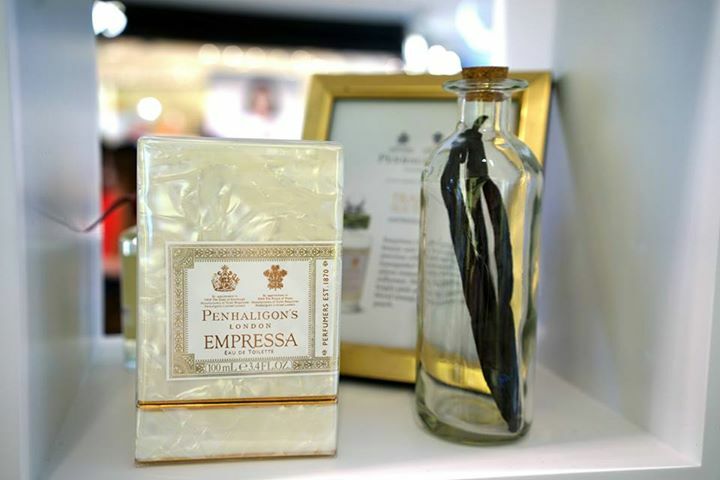 Penhaligon's holds two long-standing Royal Warrents from HRH The Duke of Edinburg and from HRH The Prince of Wales. You can purchase the fragrances from Isetan KLCC.